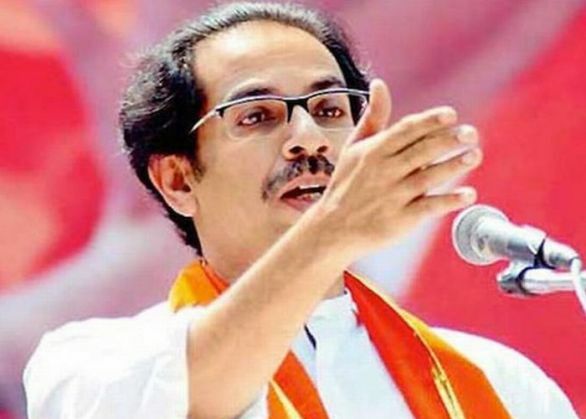 A day after it emerged as the single largest party but fell short of a majority in Kalyan-Dombivali Municipal Corporation (KDMC), the Shiv Sena today hinted at a truce with BJP, saying whatever happens during polls is temporary. Notably, the BJP sharply increased its tally in the KDMC polls, the results of which were declared yesterday. "There was a lot of mudslinging (between the BJP and Sena) while campaigning for the KDMC election...but, we need to respectfully accept the verdict given by people. Whatever happens during election is temporary and we should let bygones be bygones," an editorial in Sena mouthpiece 'Saamana' said today. Further indicating a mellowed stance as against its aggressive posturing before the polls which saw ties with ally BJP plunge to a new low, the Sena said everyone needs to be taken along to ensure development. "We are worried about the development of Kalyan and Dombivali and thus, people have got us to the brink of majority. We need to take everyone along to ensure development," it said. At the same time, the ruling alliance partner also pointed out that in other municipal councils, the BJP has not performed well and thus, Chief Minister Devendra Fadnavis should introspect what led to a change in mood of the masses in just one year of his government's rule. "The Vidarbha region stood firmly behind the BJP during the Assembly elections. But, the picture is not the same today. The Congress and the NCP have performed well in several municipal councils across the state. The CM should introspect what caused people's mood to change in just one year," the editorial said. The Sena yesterday emerged as the single largest party in the KDMC election, bagging 52 seats, but fell short of a majority in the 122-member body. The BJP came second winning 42 seats, sharply improving on its earlier tally of nine. The Raj Thackeray-led MNS bagged nine seats, while Congress and NCP were relegated to the fourth position with three seats each. Despite being partners in the state government, the two saffron parties had snapped ties before the civic polls to the twin cities amid their never-ending slanging match over a host of issues.